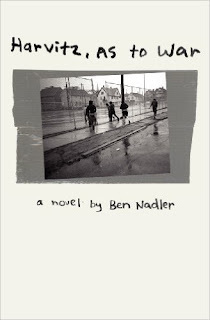 Ben Nadler is the author of the new novel The Sea Beach Line. 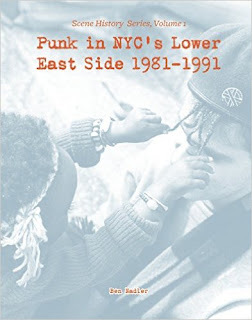 His other work includes the novel Harvitz, As To War, and the chapbook Punk in New York's Lower East Side 1981-1991. He is based in Brooklyn. Q: How did you come up with your main character, Izzy? A: I actually worked backwards to Izzy from his missing father, Alojzy. During and immediately after college, I sold used books out on West 4th Street in Manhattan. There was an older bookseller who disappeared from the street one winter, and no one was sure where he had gone. There was even a fear that he’d fallen asleep under his table and had been buried under the snow. There was a lot of snow that year. He was eventually located in a hospital; apparently he’d been battling cancer, but hadn’t told anyone. Shortly after that, he died. My understanding was that he had come to New York from Czechoslovakia in the ‘80s, and didn’t really have any family or anyone here, aside from his friends on the street, and a few other guys he played music with. Psychedelic rock. 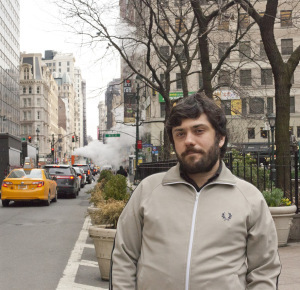 It took me years to figure out how, but I always knew I was going to write something about a bookseller who disappears. But then the question became, who cares to come looking for the bookseller? What is the searcher’s relationship to the bookseller? Is the searcher from America, or from the old country? What does the searcher know or not know? So Izzy comes out of that, from forming the right searcher, the right seeker. Q: The book is set in New York City. Do you think it could have been set elsewhere, or only in New York? 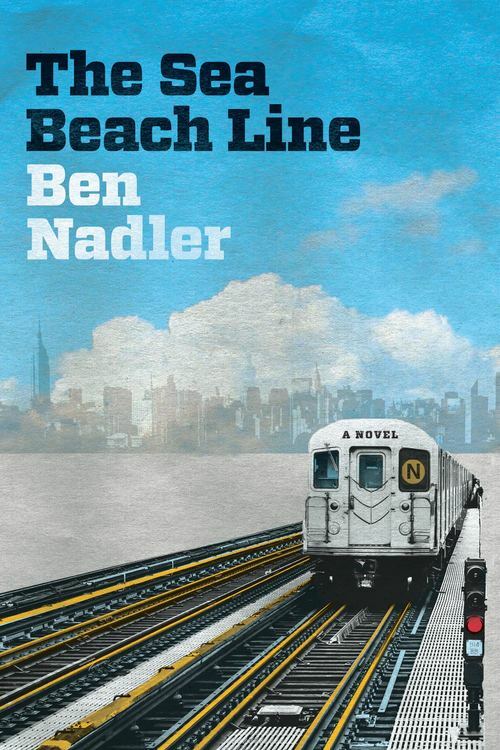 A: The Sea Beach Line is a New York City book. I could have only set it in New York. The city and its streets are a huge part of the novel. 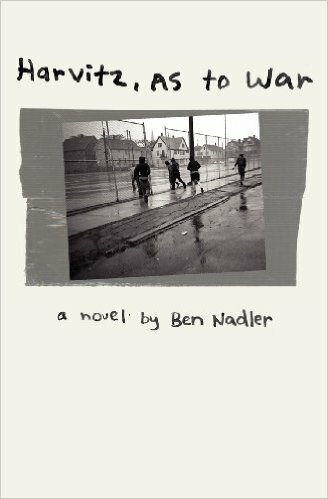 The other cities I know well and love—like Philadelphia—lack the scope and layers needed for a book like this. At some point, I will write a novel set in Philadelphia, but it will be very different than The Sea Beach Line. 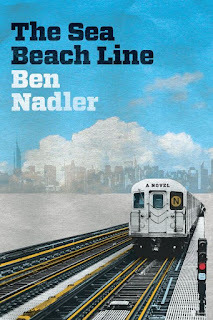 That being said, there are other cities in the world that could provide a setting for a book similar to The Sea Beach Line, if not exactly like it. Mexico City, for instance, is a place with enough space, enough varied and distant neighborhoods, enough placing of one history over another, to set a book like The Sea Beach Line. There is an established row of book stalls in a wide alley off of Calle de Tacuba, behind the main post office. When I first went there, I was struck by how familiar the book stalls were to me. Q: What role do you see religion playing in the book? A: Religion—namely Judaism—comes into the book through storytelling. The act of telling stories is a central part of Judaism. Foundational stories are codified in the Torah, but there are also the midrashic stories, aggadot, which are collected in Talmud and other places, where rabbis composed supplemental stories about Biblical figures. When Hassidism started in Eastern Europe, it spread primarily through oral Hassidic tales. The Hassidic masters wanted to reach poor, rural Jews who didn’t necessarily have access to the type of textual study that was happening in urban centers like Vilnius. Yiddish folklore became an elevated form. The idea was that by telling someone a story about a rabbi, or a baker, or a turkey, you were actually bringing the listener closer to God. These traditions are a huge part of The Sea Beach Line. I play a lot with Talmudic and Hassidic stories in the book. I tell them, deconstruct them, parody them, add to them, make up new ones. But by doing so, I’m engaging with Jewish practice, albeit irreverently. As Izzy recounts, collects, and assembles stories about his father, he engages in a similar practice. A: No, I had no idea! When I first started writing about Alojzy and Izzy, I wasn’t even sure I was writing a novel. I was just exploring their relationship in vignettes, or set pieces, without a sense of how it would come together. Then, the first cohesive version of the novel was my MFA thesis. It was about half the length of the published version, much dreamier, and offered much less resolution. So it went through a lot of changes before I found the final plot and structure. It’s astounding to me that Fig Tree took the risk to buy a novel without a clear ending from a writer without an agent. But Fig Tree is a new, energetic press, and my editor, Michelle Caplan, really believed in the project. A: I am in the very early stages of working on a contemporary crime novel. Right now I am just plotting and outlining. This time around, I do want to know the ending before I start writing.